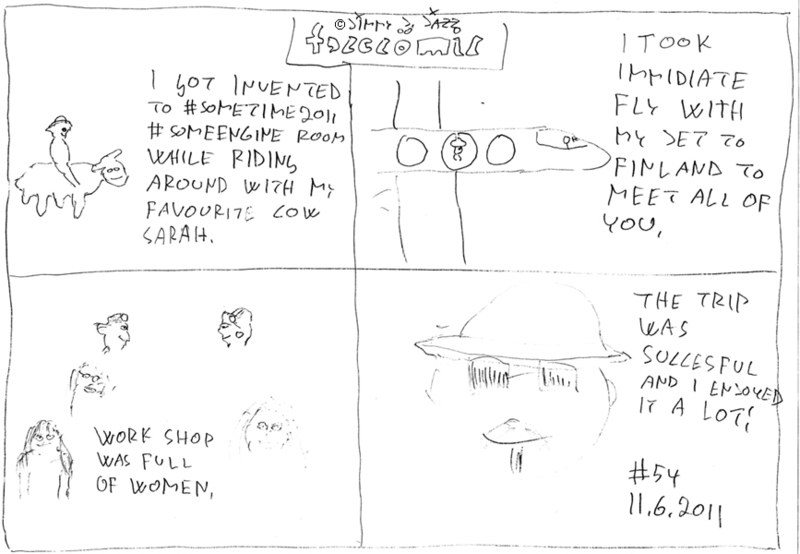 I got invented to #SomeTime2011 #SomeEngine room while riding around with my favourite cow Sarah. I took immediate fly with my jet to Finland to meet all of you. Work Shop was full of women. The trip was successful and I enjoyed it a lot!